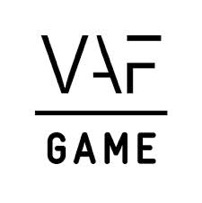 FLEGA is currently compiling a report on the Flemish videogames industry. We’re gathering soft and hard facts to be able to better map the gaming activity in our region. The report will be made available in June, but for the meantime we will already be sharing some interesting facts and figures in a series of blog posts. Today, let’s take a closer look at the gamer in our region. The previous AMS (Antwerp Management School) impact study from 2011 (including data from 2008) gave us a clear overview of the intensity of gamer activity in Flanders: light, medium and heavy gamers. A light gamer plays less than an hour a day whereas heavy gamers would play at least two hours a day. Recent research from AMS & UGent tells us that the amount of occasional gamers has risen another 2.4% since 2010, reaching an amazing 61.4%! The latest study from the Antwerp Management School (including data from 2010) also tells us that 18.9% play games on a daily basis. Research from Newzoo (2011) estimates that there are 4.4 million active gamers in Belgium. The most commonly used platforms for the Flemish gamer are the PC (43.9%), the mobile phone (29.4%) and the tablet (24.3%). The tablet growth rate is an important change since the percentage of tablet gamers in 2011 only counted 2%. 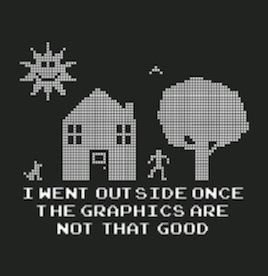 Ownership and usage of fixed consoles and handhelds continue to decline and indicate that the game scenery is going through some major changes the past few years. Only 16.8% of the Flemish population owns a fixed console, which is 20.9% less than in 2008. More and more people confirm that they use their smartphone for (occasional) gaming. The amount of smartphone users has increased by 15%. The UGent (Digimeter) results for 2013 show that the profile of gamers appears to differ from that of non-gamers. A gamer is more likely a male student who lives with his parents and who belongs to the age range of 15 – 39 years old. This does not mean there are no female gamers or that gamers are people with no income since 42.4% of the gamers have a monthly income between €1.500 and €3.000. Sources: Antwerp Management School (AMS), UGent (Digimeter) and Newzoo.